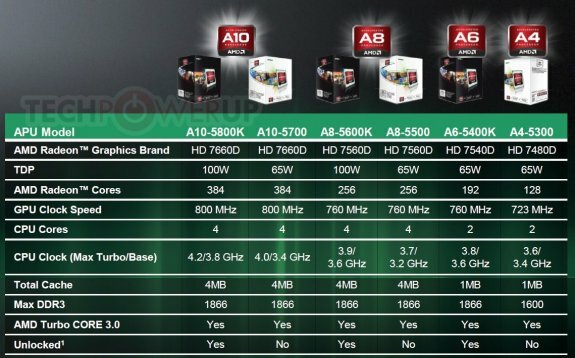 Following a long delay, the desktop editions of AMD's Trinity APUs have finally been released. These new chips feature two to four cores, with a Radeon HD 7000 series integrated graphics core and dual-channel DDR3 1886MHz memory support. The full specifications can be found in the table below. Prices range from $70 to $140.